LXD isn't a rewrite of LXC, in fact it's building on top of LXC to provide a new, better user experience. 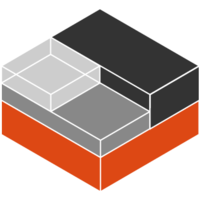 Under the hood, LXD uses LXC through liblxc and its Go binding to create and manage the containers. It's basically an alternative to LXC's tools and distribution template system with the added features that come from being controllable over the network. LXC is a userspace interface for the Linux kernel containment features. Through a powerful API and simple tools, it lets Linux users easily create and manage system or application containers. Why do developers choose Docker? Why do you like Docker? Why do developers choose LXD? Why do you like LXD? Why do developers choose LXC? Why do you like LXC? What are the cons of using Docker? What are the cons of using LXD? What are the cons of using LXC? How much does Docker cost? How much does LXD cost? How much does LXC cost? What tools integrate with Docker? What tools integrate with LXD? What tools integrate with LXC? What are some alternatives to Docker, LXD, and LXC? The support for macOS is a fake. I can't work with docker in macOS because de network and comunications with the container don't works correctly. Currently experimenting. The idea is to isolate any services where I'm not confident yet in their security/quality. The hope is that if there is an exploit in a given service that an attacker won't be able break out of the docker container and cause damage to my systems. An example of a service I would isolate in a docker container would be a minecraft browser map application I use. I don't know who wrote it, I don't know who's vetting it, I don't know the source code. I would feel a lot better putting this in a container before I expose it to the internet. We are testing out docker at the moment, building images from successful staging builds for all our APIs. Since we operate in a SOA (not quite microservices), developers have a dockerfile that they can run to build the entirety of our api infrastructure on their machines. We use the successful builds from staging to power these instances allowing them to do some more manual integration testing across systems. Docker is used for local development along with boot2docker and VirtualBox as described in Simple websites with Jekyll and Docker. It's also used on the server to build and house the site. Additionally the container is hosted free with automated builds on DockerHub. 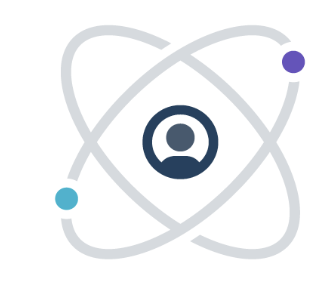 Each component of the app was launched in a separate container, so that they wouldn't have to share resources: the front end in one, the back end in another, a third for celery, a fourth for celery-beat, and a fifth for RabbitMQ. Actually, we ended up running four front-end containers and eight back-end, due to load constraints. Linux containers are so much more lightweight than VMs which is quite important for my limited budget. However, Docker has much more support and tooling for it unlike LXC, hence why I use it. rkt is interesting, although I will probably stick with Docker due to being more widespread.